Dobro master Jerry Douglas and a handful of top pickers pay homage to one of the most influential acts in the history of bluegrass with the "super group" the Earls of Leicester. Exclusively playing material written or popularized by Flatt & Scruggs in the '50s (the group's name is a play on the duo's first names, Lester and Earl), the Earls of Leicester perform music from bluegrass' past with a passion, energy, and enthusiasm that brings the music to life for a new generation of fans. And true to their concept, their albums are cut in a simple and straightforward manner, with 2014's self-titled debut and 2016's Rattle & Roar replicating the dynamics and instrumental interplay of a live performance. 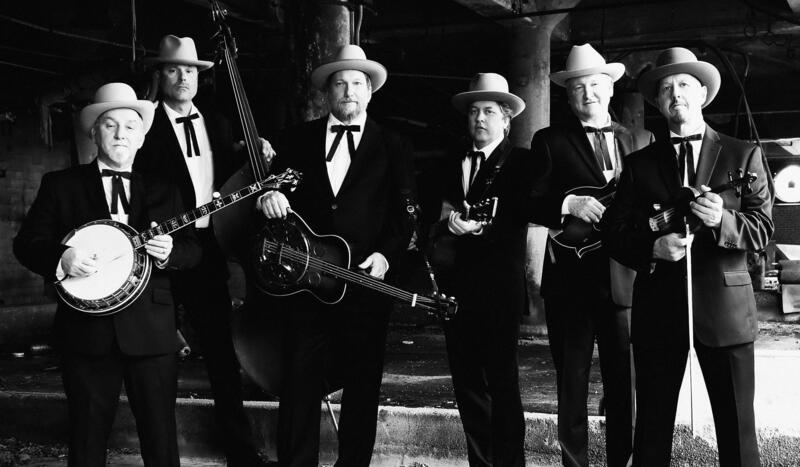 Jerry Douglas has cited Lester Flatt & Earl Scruggs and their group the Foggy Mountain Boys as a key influence on his musical development, and credits Josh Graves, the group's Dobro player, as the man who first made him want to learn the instrument. As he became a respected and popular musician, Douglas occasionally considered putting together a band that would pay homage to the Flatt & Scruggs songbook, but wasn't sure he could find instrumentalists who could capture their sound. Douglas changed his mind about that when he was booked to play on a session with fiddle player Johnny Warren, whose father, Paul Warren, was a longtime veteran of the Foggy Mountain Boys. Johnny's banjo player, Charlie Cushman, a longtime presence on the Nashville bluegrass scene, was also on the date. Douglas recruited Warren and Cushman as the core of his Foggy Mountain Boys tribute group, and then brought in Tim O'Brien of Hot Rize to play mandolin, Barry Bales from Alison Krauss' group on bass, and noted songwriter and multi-instrumentalist Shawn Camp to handle vocals and guitar. Naming the new group the Earls of Leicester and focusing their repertoire on Flatt & Scruggs classics, Douglas and his bandmates entered the studio to record a self-titled album that was released by Rounder Records in the fall of 2014, and the band played a number of live dates in support. The album earned rave reviews from bluegrass followers, and won the 2015 Grammy for Best Bluegrass Album, as well as four trophies from the International Bluegrass Music Association Awards. Douglas took the group back into the studio to record a second album in 2016. For the sessions, the lineup featured Douglas, Camp, Warren, Cushman, Bales, and new member Jeff White on mandolin and harmony vocals. Cut live in a single room, Rattle & Roar was released by Rounder Records in July 2016. The group continued to tour in 2017 and 2018, and their two-night stand at Nashville's CMA Theater was recorded for a live album. The 23-song live set, Live at the CMA Theater in the Country Music Hall of Fame, was released in September 2018.